In the longer run, these are just more developments pushing the world at large away from dollars and toward alternatives of all kinds, including new payment systems and cryptocurrencies. The signs of a reset are everywhere, but at least for now the dollar is still king of the hill. 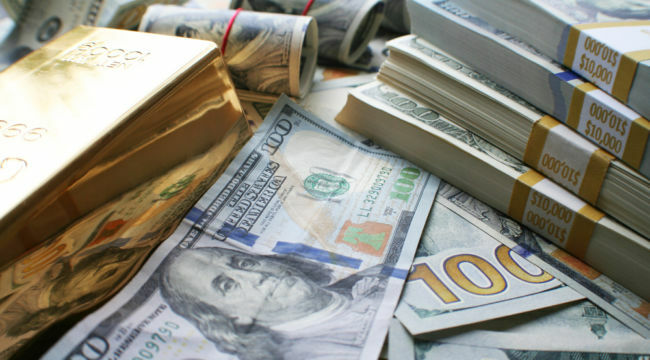 The dollar represents about 60% of global reserve assets, 80% of global payments and almost 100% of global oil sales. With such a dominant position, the dollar will not be easy to replace. Still, the trends are not good for the dollar. The international reserve position may be 60%, but as recently as 2000 it was over 70% and just a few years ago it was still at 63%. That trend is not your friend. Another challenger to the dollar is the IMF’s special drawing rights or SDRs. The SDR is a form of world money printed by the IMF. It was created in 1969 as the realization of an earlier idea for world money called the “bancor,” proposed by John Maynard Keynes at the Bretton Woods conference in 1944. The bancor was never adopted, but the SDR has been going strong for 50 years. This article describes how the IMF could function more like a central bank through more frequent issuance of SDRs and by encouraging the use of “private SDRs” by banks and borrowers. At the current rate of progress, it may take decades for the SDR to pose a serious challenge to the dollar. But that process could be rapidly accelerated in a financial crisis where the world needed liquidity and the central banks were unable to provide it because they still have not normalized their balance sheets from the last crisis. In that case, the replacement of the dollar could happen almost overnight. Individuals will not be allowed to own SDRs, but you can still protect you wealth by buying gold. That’s what Russia and China are doing. Both countries have more than tripled their gold reserves since 2009. But attacks on the dollar are not limited to gold or SDRs themselves. The most imminent threat to the dollar actually comes from a combination of gold and digital currency. The fact that Russia and China have been acquiring gold is old news. Still, there are practical problems with using gold as a form of currency, including storage and transportation costs. But Russia is solving these transactional hurdles by combining its gold position with distributed ledger, or blockchain technology. Such net settlements would require far less gold than gross settlements (where every transaction had to be paid for in real-time). This type of system (also called a “permissioned blockchain”) is not pie-in-the-sky, but is already under development and will be deployed soon. But you can count on the U.S. government being the last to know. The development of a gold-backed digital currency is just one more sign that dollar dominance in global finance may end sooner than most expect. And we may be getting dangerously close to that point right now.